I'm back! Stay tuned for more pictures coming soon. so u went to Fraser's Hill? i haven't been there and can't wait for your upcoming posts and pics. oh wow, FC again!! where's Marzie? Mariuca!!!! :* :* u just woke up eh? got my buzz2 or not? Yeah la, this buzz buzz kan I missed? Huhuhu! Yeah I chopped for MPG some more yeeha! yelah u missed this buzz2! I am having coffee now actually Mon! Now trying to find pics lol! huh so fast due? u just chopped right? ohhic! u forgot abt that PB is it? The air looks cleaner n fresher. Gosh! i need a clean n fresher air right now. Hey, is that a ciggy in between your fingers. Aha!! Doing some fogging ya.. di tanah tinggi Fraser. Hi Ladies...& tekkaus! Happy Monday!! can't wait to see more pictures of you! Recent blog post: anime: asu no yoichi! (明日のよいち!).. 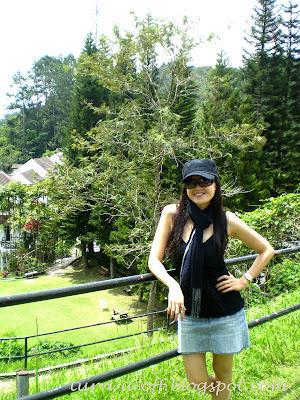 Long time I've never been to Fraser's Hill! Do they still have the fixed time for going up and down the hill? Very beautiful. Looking forward to more pictures. Dropped and clicked here Mon! Recent blog post: I Got A New Girlfriend! Just making a visit to catch up. Wanted to make a drop here but there´s something going on with my browser, I can´t see the right sidebar. hey, mon! missed u, dearie! Mon!!! The new SS PB is the real estate one right? I saw the job, we must put 3 links is it???? So many! 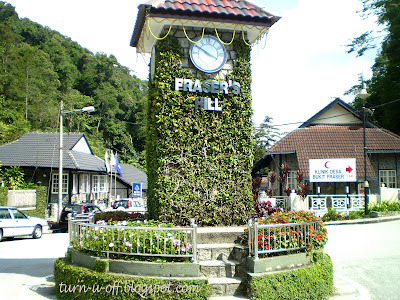 I have not been to Fraser's Hill. can't wait to see what it's like. Buzz buzz in da house LOL!!! Recent blog post: BLOG IDOL: ROUND 5 "LOVE SONGS MEDLEY"
oh I didn't have any 'strange' encounter there Xin :-D haha I oso heard Cameron Highlands and Genting are haunted! Morning Mariuca! :-D u're zzzz? Recent blog post: Going to Vietnam? LOL no worries! I just woke up Mon!